The topic of “future classics” comes up all the time in car enthusiast circles, often as we try justifying expensive and questionable automotive purchases. It’s an investment, right? (Not usually.) But the folks at Hagerty Classic Car Insurance have to assign values to old cars all the time, so they know a thing or two about this subject. Let’s have a look at their list new cars that they think will be classics in 25 years. But ultimately, these new-for-2017 cars have to look cool, preferably be somewhat exclusive, and offer good performance for under $100,000 for them to make the “Hot List.” There’s 10 of them, but I grabbed a few. I could have told you it’d be a future classic based on the sheetmetal alone. 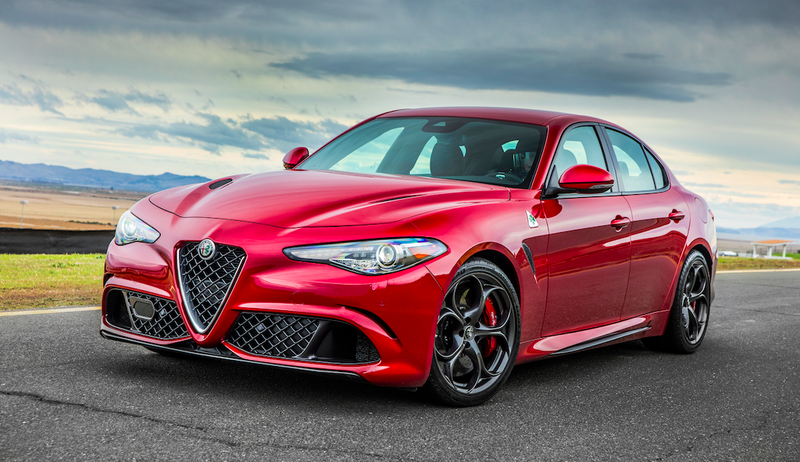 Throw in a 505 horsepower twin-turbo V6, and handling that seems to ignore centripetal acceleration, and I can definitely see how this $72,000 Italian sports sedan might be a classic in a quarter of a century. Bringing supercar speed to the sports car market is the wildly popular follow-up to the TT-RS. With 400 horsepower from a widely-acclaimed, new 5-cylinder, the TT-RS corners at an extreme 1.2 g-forces and accelerates from 0-62 mph in only 3.7 seconds. That is a pretty incredible machine, especially for an estimated price of about $60,000. Americans love their trucks, especially purpose-built, off-road versions. The ZR2 comes with a suite of off-road tech including dynamic shocks, locking front/rear differentials, increased ride height and widened track. Its future collectability lives in the hands of Chevrolet’s production volume planning staff. That last line makes it seem that, if they sell like Wranglers, maybe ZR2s won’t quite be classics. We’ll find out; I, for one, hope they do sell well, so I can find one for cheap on Craigslist. With a sprint to 60 mph in 3.6 seconds and an 11.8 second ¼-mile time, the Grand Sport has the technology to compete with the big boys while offering a striking visual reference to its ancestors: the 1963 and 1996 Grand Sports. When Fiat announced they were resurrecting the classic 124 Spider, many enthusiasts were ecstatic. When the firm announced the architecture would be shared with the Mazda Miata, which made last year’s Hot List, roadster fans knew they were in for a treat. With a 0 to 60 mph sprint in a healthy 6.3 seconds, the 124 Spider provides more power than its cousin through a MultiAir turbo engine with true Italian verve. The rest of Hagerty’s list includes the Ford Raptor, Miata RF, Porsche 718 Cayman and Boxster, and the Toyota 86. You can learn why they chose those cars when the insurance company publishes their Hot List to their website later today. For the most part, I agree with this list, even though I never would have pegged the 124 as a future classic (heck, you can get old Fiat Spiders for nothing these days), nor would I ever have thought there’d be demand for a TT RS in 25 years. But hey, I don’t assign values to classic cars for a living, so what do I know. What do you think is a future classic on the market right now?